WHO: Elaine Turner, native Houstonian and acclaimed luxury shoe and handbag designer. 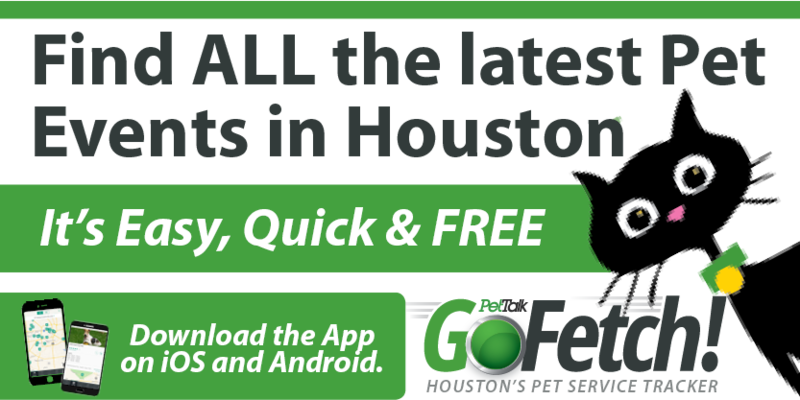 Lucky Dog Rescue, an animal welfare organization dedicated to providing rescue services, vet care, foster care, and adoptive placement to stray and abandoned dogs. WHAT: Whoever said you can’t buy love doesn’t know where to shop! Find out what’s in store for you or your loved one this Valentine’s Day at Elaine Turner. The perpetually pink store will host Lucky Dog Rescue for a Valentine’s evening event benefitting Houston’s four-legged friends. Purchase a valentine in a friend or a sweetheart’s name, or one for yourself! When you buy a Valentine for an adoptable dog who is in need, all proceeds going straight to the needs of these angel-faced canines. Supporters will shop and sip on cocktails provided by Hudson Ferus Vodka. Additionally, fifteen percent of the evening’s sales will benefit Lucky Dog Rescue. It’s love, doggone it! shoes in the mid-tier/accessible luxury sector of the market. Elaine’s line channels travel, fantasy and escapism. Her collection of destination glam handbags is about individuality and self expression-not high price tags. Elaine’s hot pink signature color is unexpected, feminine and fun-just like her products. She often uses bamboo accents to bring out the tropical, carefree travel feel of her bags and shoes. After seeing a void in the market for luxurious accessories at an accessible price point, Elaine launched her own national line and has been creating contemporary elegant products since 2000. 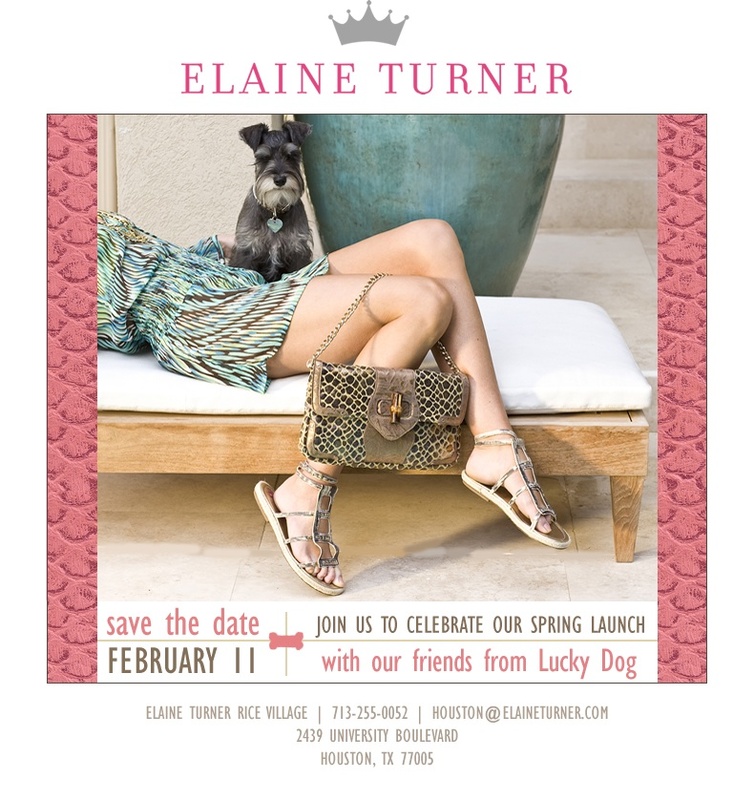 For more information, visit Elaine Turner at www.elaineturner.com or the Elaine Turner flagship store in Rice Village at 2439 University Boulevard, Houston, Texas 77005.